Instant Pot or Slow Cooker Cuban Beef Recipes Your Family Will Love! Cuban Beef is such a great dish to make in the Instant Pot or the Slow Cooker; check out this great collection of Instant Pot or Slow Cooker Cuban Beef Recipes Your Family Will Love! And read on for more about Cuban Beef if you haven’t tried it yet! Click to PIN Instant Pot or Slow Cooker Cuban Beef Recipes! One of the benefits to being a contributor on this blog is discovering recipe ideas that you might not have seen otherwise, and one of our discoveries is the Slow Cooker or Instant Pot Cuban Beef that’s called Ropa Vieja! 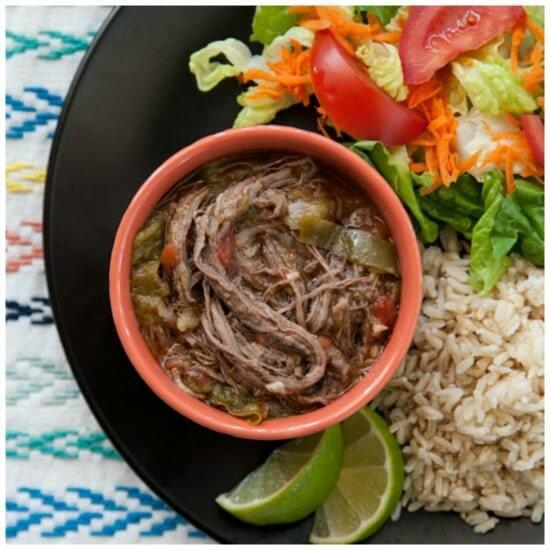 Every time we noticed a different version of Ropa Vieja it looked so delicious that we decided to create a collection of Instant Pot or Slow Cooker Cuban Beef Recipes that we think your family will love! Ropa Vieja is a shredded beef dish that originated in the Canary Islands and migrated to the Americas with Spanish traders. Ropa Vieja means “old clothes”, which may be why the meat can be easily shredded into long, thin, ropy pieces like tattered old clothes. Cuban Beef often includes green olives too, which is definitely a plus for green olive fans. And there are a few other variations of Cuban Beef in this collection as well. All photos are copyrighted to the blog that posted the recipe; just click the recipe title under any photo to see the full recipe on the original site. And we hope you enjoy discovering Cuban Beef if it’s new to you! 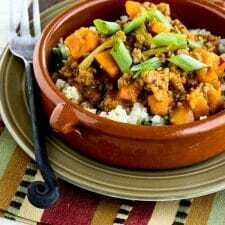 Instant Pot Picadillo from Skinnytaste is a quick and easy Cuban recipe (cooks in just 15 minutes in the Instant Pot) and would be delicious served over brown rice or cauliflower rice. Gina has also included Slow Cooker and Stovetop directions in this post if you prefer that method of cooking. 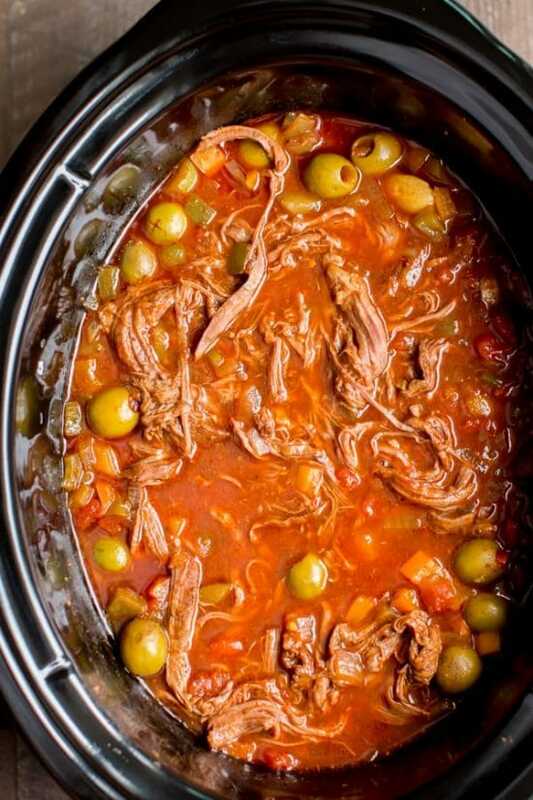 Lydia’s basic Cuban-inspired version of Slow Cooker Cuban-Style Ropa Vieja from The Perfect Pantry contains beef flavored with chopped tomatoes and green chiles, spices, and this gets a kick from your favorite salsa. 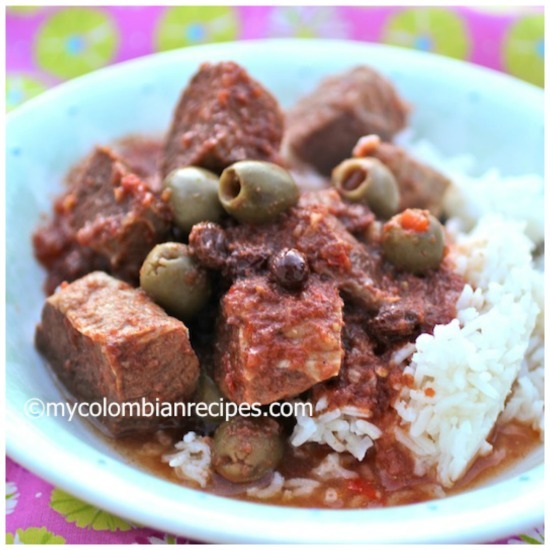 Slow Cooker Cuban-Style Beef Stew from My Columbian Recipes is a rich and comforting dish the whole family will enjoy. Instant Pot or Slow Cooker Ropa Vieja (Cuban Style Shredded Beef) from Foodie With Family is a saucy, shredded, salty, sweet Cuban classic flank steak creation made in the Instant Pot or slow cooker; use whichever method you prefer. 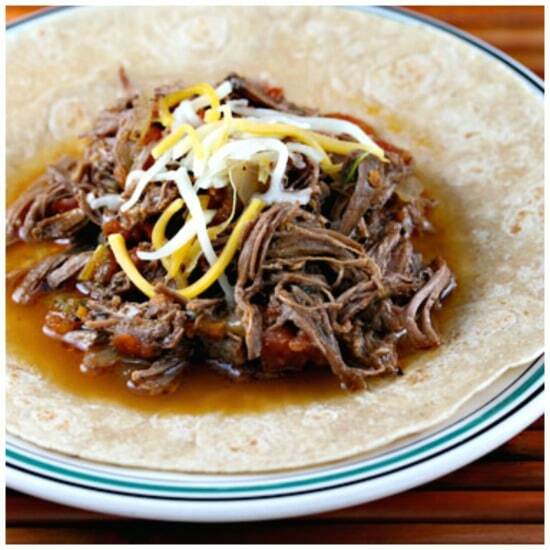 Leigh Anne says this Slow Cooker Cuban Beef from Your Homebased Mom makes great street tacos! Street tacos always use double tortillas and are topped with some fresh pico de gallo, avocado, and cilantro. Instant Pot Cuban-Style Shredded Beef from Amee’s Savory Dish could easily be low-carb by serving over your favorite veggie noodles or cauliflower rice. Slow Cooker Ropa Vieja from Panning the Globe is a tender stew ladled over a bed of rice or served traditionally with black beans and rice. Fried plantains are often on the side as well. Instant Pot Ropa Vieja: Cuban Shredded Beef Stew from Flavorrd is a flavorful stew made with peppers, tomatoes, and flank steak. Serve with brown rice and a nice salad for a yummy, nutritious meal. Sarah says this Slow Cooker Ropa Vieja (Cuban Beef) from The Magical Slow Cooker needs 9 hours of cooking time so this is an awesome recipe if you go to work all day. Add the ingredients to the slow cooker in the morning, turn it on to do it’s magic, and when you get home your dinner is ready to eat! Instead of flank steak this Ropa Vieja (Instant Pot and Slow Cooker) from My Heart Beats uses beef chuck roast because it has more fat, more flavor, and results in tender juicy meat. Ashley says her favorite way to eat ropa vieja is in a bowl, like stew, but with toppings like diced onion, diced jalapeños, avocado, chopped cilantro, and a big squeeze of lime. Sounds delicious! Have you made Cuban Beef in the Instant Pot or Slow Cooker? Let us know in the comments about how that went for you! What a fun collection of recipes! And thanks so much for including one of mine from The Perfect Pantry.